It seems I have been slipping a bit when it comes to getting round to writing blog posts. The good news is that I have been busy making quite a few different things, so the reason I haven’t posted in a while is that the making has taken priority over blogging about it for a time! More on this soon. 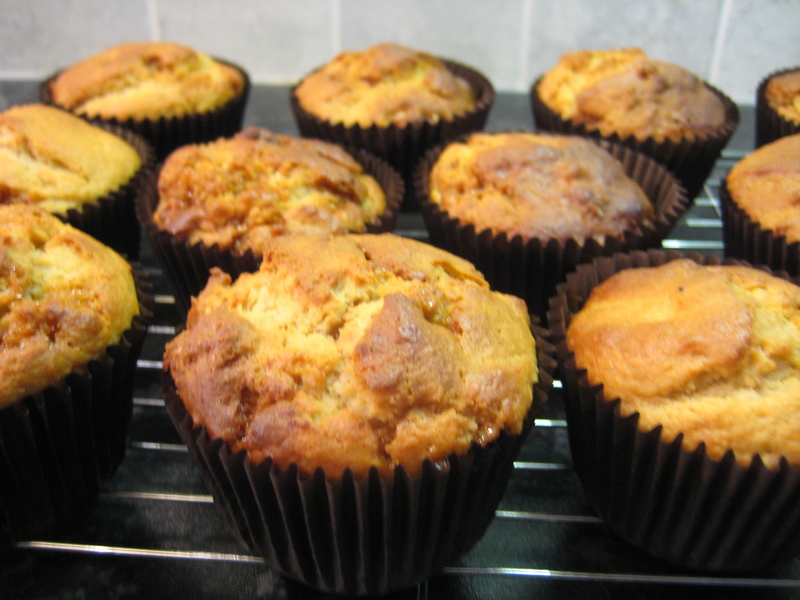 I’ve been busy baking again, and these muffins seem to be a good antidote to the current damp and chilly weather. They were so good they got eaten too fast for me to get many photos! I modified my basic recipe to add in some banana and butterscotch pieces. Preheat the oven to 180°C. Put all the ingredients into a large bowl and mix until smooth. If it feels a bit stiff add some more yoghurt. Put into muffin cases and bake for 25mins or until a skewer inserted into a cake comes out clean. These are yummy warm with vanilla ice cream!